The largest minibus option available, the 25 passenger minibus is a great choice for groups too big for rideshare services, but too small to fill an entire charter bus. Do you have a fairly large group that needs to stick together en route to an excursion? Rely on the 25 passenger minibus to get you to your destination. 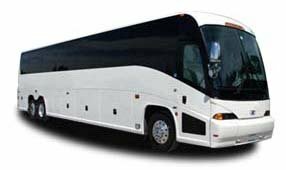 Phoenix Charter Bus Company is fully capable of providing the transportation solution you're seeking. Our customer support team assists you directly, and we're experts at handling transportation for weddings, corporations, sports teams, school events, and everything in between. Call us any time at 480-445-9823​ for a free quote and more information about the services we provide.